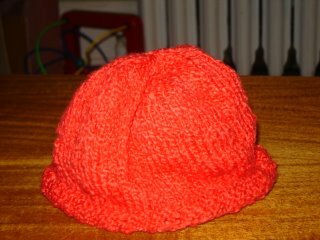 I have to say, I’m glad I made it, but I’m not super excited about this hat, mostly because of the yarn. 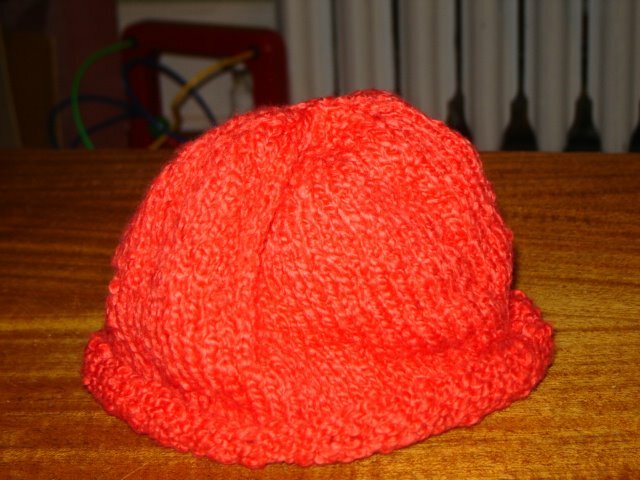 It is knit in “Crayon” from Knitpicks on size five needles. 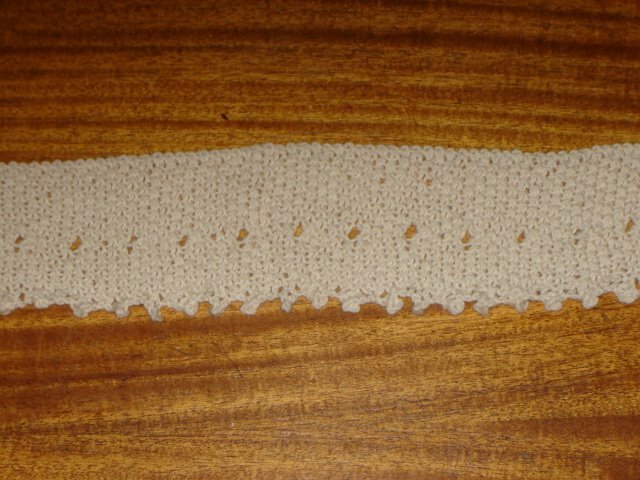 The cotton is very soft and feels great, which is why I chose to use it, but wasn’t great to knit with. 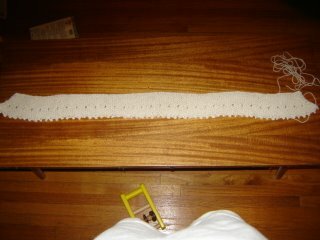 I’m pretty picky when it comes to knitting with cotton. 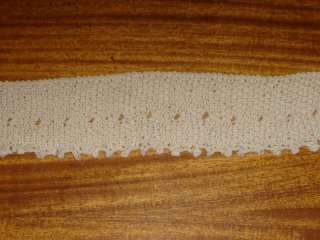 If I have metal needles I’m usually fine, but I only had size 5 DPN’s in Brittney needles, which are the stickiest I have. So, it was slow going and not the greatest item I’ve ever made, but the baby will have something handknit by me to go home in even if it is not the shawl. It actually cracks me up when I thought I would have managed to complete the entire shawl and a sweater, matching hat and booties in time. Of course, it would help if I could manage to stay awake past 9:00 at night (tonight is an exception) but you must be able to tell I’m tired by my inability to end this post. So I’ll leave it here, happy that I got a hat finished and off to bed I go! I think the hat is cute! But I TOTALLY know that you mean about needing slippery needles for that sort of cotton. Oh, second blogger today to give bad reviews to the KnitPicks Crayon. I think I will avoid that one. I certainly sympathize with you about the blocking something, only to have it reveal all your mistakes. I like blocking when it works in reverse.